The history of Schriever AFB goes back to the decision to establish a new space control facility approved by the Secretary of Defense in September 1979. The site, formerly known as Falcon Air Station, was chosen from 12 possible sites and ground breaking took place in May 1983. On June 5, 1998, Falcon Air Station was renamed Schriever Air Force Base in honor of retired General Bernard A. Schriever, who pioneered the development of the nation's ballistic missile programs and is recognized as "the father of the United States Air Force's space and missile program." Schriever AFB is the only Air Force base that was named after a person who was living at the time. General Schriever died in June 2005. 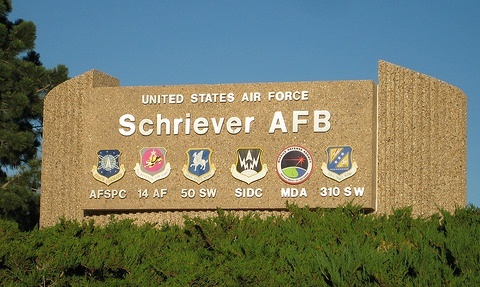 Schriever AFB is located in El Paso County, the largest county in Colorado and 12 miles east of the city of Colorado Springs. Colorado Springs is the second largest city in Colorado, and is located 61 miles south of the State Capitol. Offering an ideal blend of business opportunity, culture and outdoor recreation, Colorado is home to more than 25 ski resorts. Colorado Springs is a vacation haven that draws over 6 million visitors annually. Notable attractions in Colorado Springs include the famous Broadmoor Hotel, US Olympic Center and the Nation's highest elevation zoo. Colorado Springs is the largest municipality in El Paso County with an estimated population of 380,000. According to ACCRA Cost of Living index Colorado Springs sit at 92.8 out of composite index of 100. Colorado Springs is located on the eastern boundary of the Rocky Mountains with the 14,110 foot Pikes Peak to the west. Schriever AFB is the home of the 50th Space Wing, the Space Innovation and Development Center, the Missile Defense Agency's Joint National Integration Center, 310th Space Group and numerous mission partner organizations. The 50th Space Wing's mission is to command satellites to deliver decisive global effects, to include precision navigation and timing and secure satellite communication, through command and control of DOD satellite systems. The other units at Schriever also perform space missions. We are unique in that we have no flight line and no aircraft mission. Because of the close walking distance between facilities there is no shuttle service outside the restricted area however; shuttle service is provided continuously throughout the day inside the restricted area. Bus schedules are posted throughout the base. Security Forces has instituted a carpooling program. If you drive to work with at least one other person you can park just west of the North Entry Control Facility in designated, reserved carpool parking slots. The Vanpool program is available at Schriever AFB. A vanpool is a group of 5 to 15 people who commute to work on a regular basis in a van provided by VPSI, Inc. The riders share a fee that covers the cost of operating the van. The vanpool group determines their daily route. Riders meet at a designated pick-up location, such as a shopping center. There are two gates to access the base. The North Gate on Enoch road, and the West Gate on Irwin Road. The Visitors Center is located on Enoch Road just prior to the gate entry and because of this many refer to this as the main gate, which is the only 24 hour gate. The Enoch Road gate hours of operation are: Monday - Friday 6 a.m. - 7 p.m. It is closed during the weekends and on all holidays. With Pikes Peak Mountain being highly visible to the West, residents of Colorado Springs use that as a guide using North, South, East and West for directions. There are three main arteries for traffic, they all run North and South, they are I-25 on the West side of the city, Academy Blvd in the central part of the city and Powers Blvd to the east of the city. The Colorado Springs airport is located southwest of Schriever AFB. Following the road exiting the airport, turn right on Powers Blvd. Stay on Powers approximately 7 miles, until you reach Platte Avenue. Turn right; stay on Platte until you get to HWY 94 and make a right. Stay on HWY 94 for about 9 miles until you get to Curtis Road intersection, turn right. Go approximately 3 miles, then turn left onto Irwin Road, this will take you to the West gate. This gate is only open M-F 0600-1900. The Colorado Springs airport is located southwest of Schriever AFB. Following the road exiting the airport, turn right on Powers Blvd. Stay on Powers approximately 7 miles, until you reach Platte Avenue. Turn right; stay on Platte until you get to HWY 94 and make a right. Stay on HWY 94 for about 10 miles until you see Enoch Road, (Approximately 1 mile past the Curtis Road Intersection) take the right turn lane to merge onto Enoch road. Stay on Enoch road approximately 2 miles. The Pass and Registration/Visitor Center will be on your right. It is open from 5:30 a.m. - 3:00 p.m. Monday - Friday. The Enoch Road North Gate is the only 24 hour gate. Entering Colorado Springs on I-25 from the south or north, exit on Academy Blvd; If you enter the city from North Academy Blvd., head south towards Platte Avenue, If entering the city from south Academy Blvd, go North to Platte Avenue. Turn east on Platte Avenue (Highway 24) to Highway 94. Head east on Highway 94 approximately 9 miles until you get to the Curtis Road intersection, turn right. Go approximately 3 miles and turn left onto Irwin Road, this will take you to the West gate. This gate is only open M-F 0600-1900. Entering Colorado Springs on I-25 from the south or north, exit on Academy Blvd. If you enter the city from North Academy Blvd., head south towards Platte Avenue. If entering the city from South Academy Blvd, go north to Platte Avenue. Turn east on Platte Avenue (Highway 24) to Highway 94. Head east on Highway 94. Head south on Enoch road and follow to the Visitors Center on your right, or straight ahead to the gate. This is the only 24 hour gate. If coming from the east on Interstate 70, If coming from the east on Interstate 70, go south on Highway 71 to Highway 94. When you get to the Curtis road intersection turn left. Go approximately 3 miles and turn left onto Irwin road, this will take you to the West gate. This gate is only open M-F 0600-1900. If coming from the east on Interstate 70, go south on Highway 71 to Highway 94. When you get to Enoch Road, make a left and follow to the Visitors Center on your right or straight ahead to the Gate. This is the only 24 hour gate. If coming from the west on Highway 24, follow the signs to stay on Highway 24 through the city. Take Platte Avenue east to Highway 94. Head east on Highway 94, and continue for approximately 9 miles to the Curtis Road intersection, then turn right. Go approximately 3 miles and turn left onto Irwin road, this will take you to the West gate. This gate is only open M-F 0600-1900. If coming from the west on Highway 24, follow the signs to stay on Highway 24 through the city. Take Platte Avenue east to Highway 94. Head east on Highway 94 for approximately 10 miles, until you reach Enoch road, take the right turn lane and merge onto Enoch road. Continue on Enoch road until you reach the Visitors center, on your right or straight ahead to the gate. 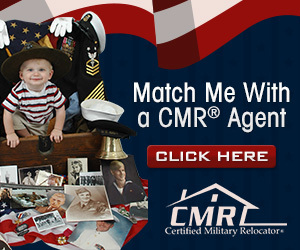 No listings found for Schriever Air Force Base.